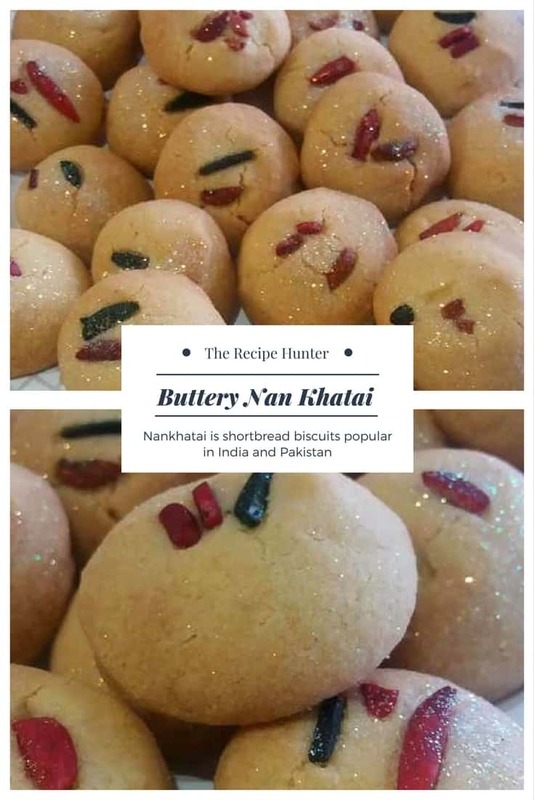 Nan Khatai / Nankhatai is shortbread biscuits popular in India and Pakistan. The word Nankhatai is derived from Persian word Naan meaning bread and “Khatai” from an Afghan word meaning Biscuit. Make marble size balls and place on baking tray.